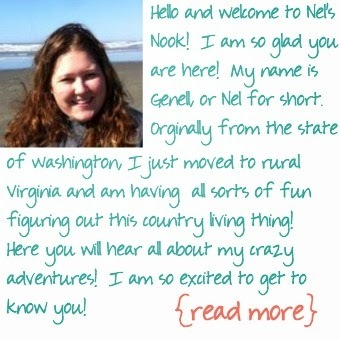 This is a fun twist on Nel’s Christmas cake popbars. I tried to buy the Duncan Hines Spring Velvet cake mixes to use as my base but they were so popular at my local supermarket, they were completely sold out. 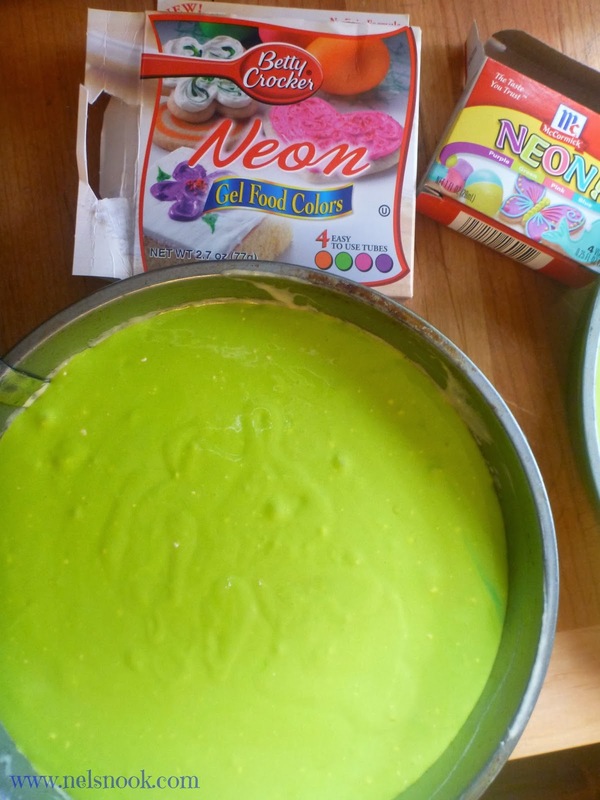 I substituted Duncan Hines Classic Yellow cake mix and neon food colorings to try and achieve the colors I needed. You could easily cut this recipe in half by using only one cake mix and dividing it up before adding food coloring but I wanted plenty of good eats for a crowd. Prepare 1 cake mix following package directions, mixing 3 large eggs, 1-cup water and 1/3 cup vegetable oil. 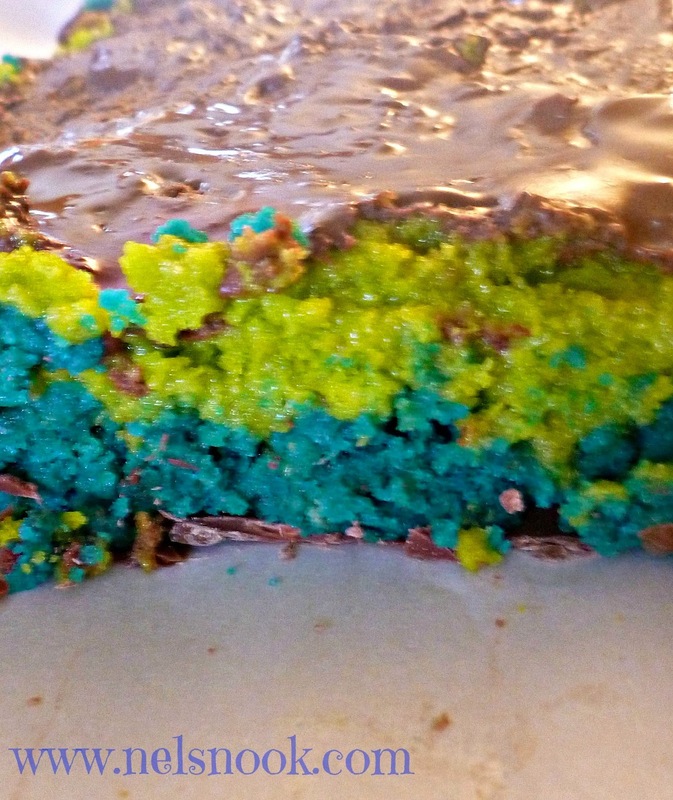 When completely mixed, I added neon green food coloring until I had as close to the Seahawks Green as I could get, pour into 2 greased 8 inch cake pans, bake at 325 degrees for 26-28 minutes, until a toothpick inserted in the center comes out almost crumb free. 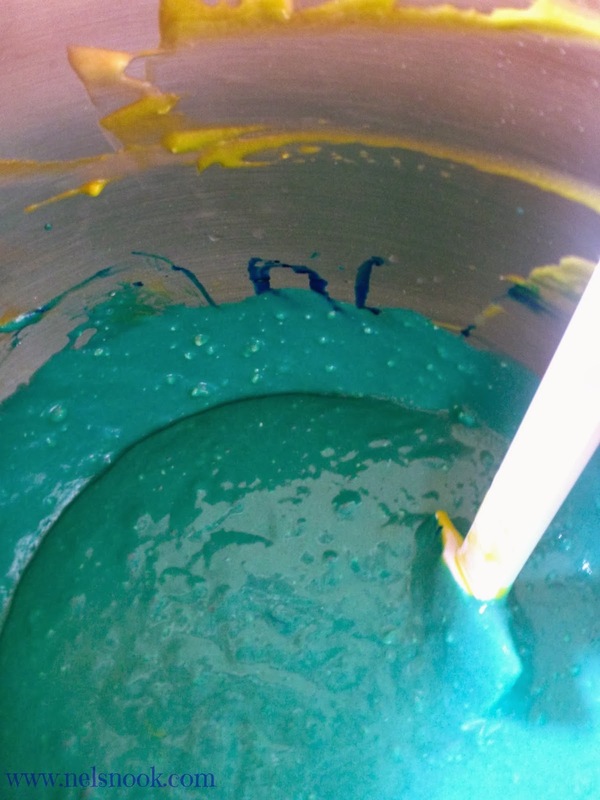 Repeat process with second cake mix, using neon blue on your second cake. Mix powdered sugar, butter, vanilla and salt in large mixing bowl, slowly blend in milk to desired thickness, whip on high to get a nice fluffy consistency, set aside. Once the chocolate is hardened, press the blue cake pop mix evenly over the chocolate. 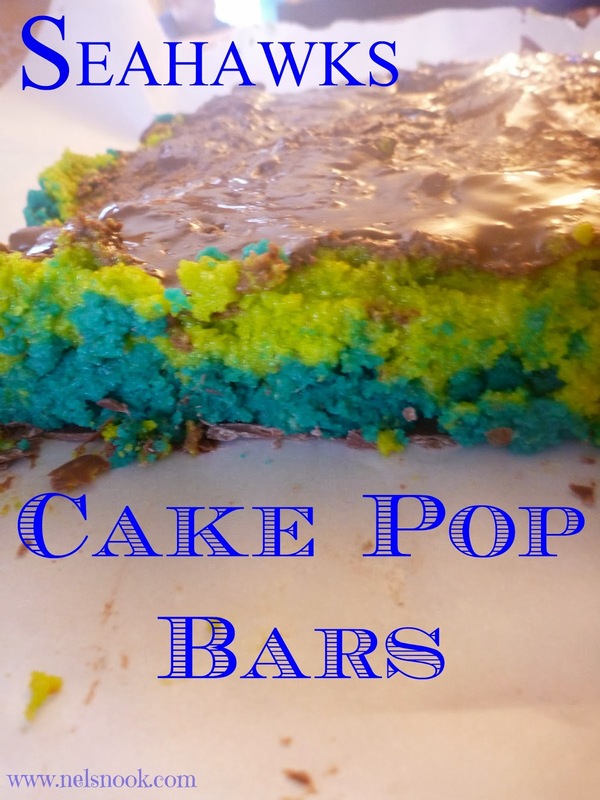 Gently press the green cake pop mix over the blue cake pop mix. 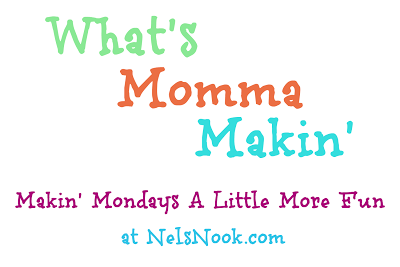 Pour the rest of the melted chocolate over the green cake mix and spread evenly. Let the top chocolate layer cool completely.